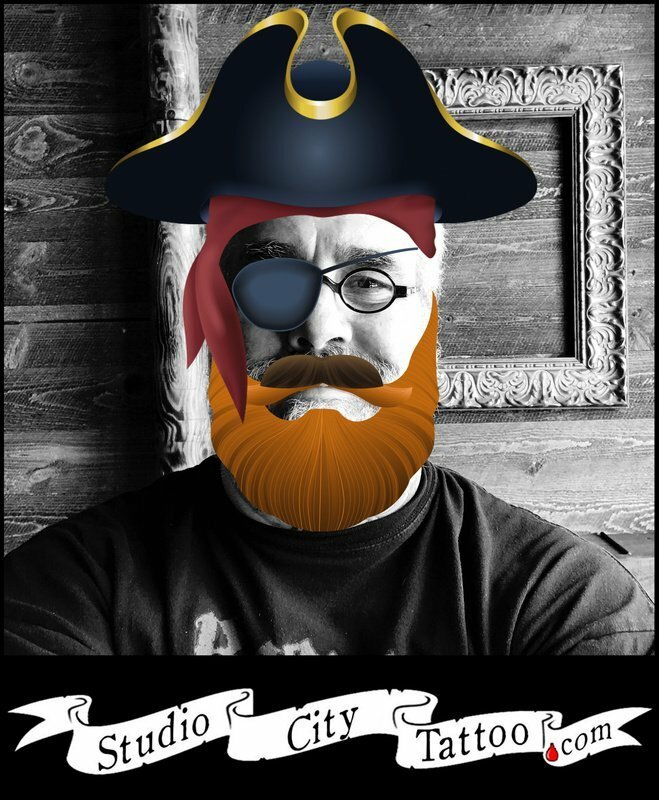 When visiting Studio City Tattoo and Los Angeles Body Piercing don't forget to take a selfie at our Walk the Plank Selfie Station! You can take a picture of you with your new tattoo or body piercing along with friends. Come put on one of our pirate hats and have fun taking a photo while in the shop. This is a fun experience. If you wanting to show off your new tattoo or waiting for a friend getting tattooed then is is a fun device. With a push of a button you can send the photo to your Instagram or email. We're having a ball with the new addition to Studio City Tattoo and think you will enjoy messing around with it too. Don't forget to add a mustache!